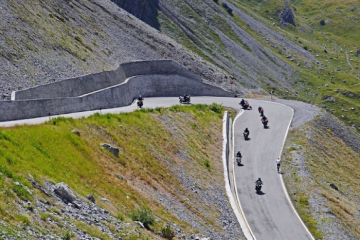 Being a mere ferry ride away from blissful roads, soaring mountains, pristine wilderness and sublime landscapes, mainland Europe is the perfect motorcycling touring destination for us Brits. Not only is the continent easy to get to, but it offers some of the world’s greatest and most alluring places to explore on two wheels. 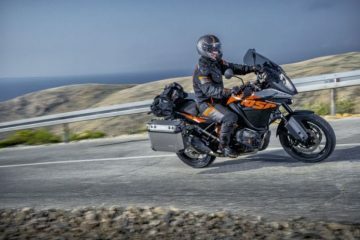 With the above in mind, we teamed up with the fine folks at Motorcycle Booking, a company that specialises in mind-blowing world-wide biker tours, to find three European motorcycling destinations you simply cannot miss. We’ll start off with France, because if you haven’t ridden in France yet then you, my friend, are truly missing out on some of the world’s best riding. Why? The Alps, of course. The magnificent mountain passes of the Alps will have you feeling more alive than you’ve ever felt. With adrenaline and pure joy running through your veins, riding these roads will almost certainly steal a part of your heart forever. But there is so much more to France than the Alps. There are bustling cities, quaint villages and historic towns to explore, dramatic architecture, staggering rural valleys and fantastic lakes and rivers to be amazed by. Whatever strikes your interest, you’ll be able to make it happen in France – and don’t even get me started on the beers, wine and fine cuisine. You could find yourself riding on the stunning Cotentin Peninsula, lapping up sights such as Mont-Saint-Michel, Baie d’Écalgrain, the village of Saint-Vaast-la-Hougue or the haunting and fascinating D-Day Utah Beach. Riding in Brittany could see you visiting the Château de Fougères, Fort-la-Latte or the stunning pink granite coast. 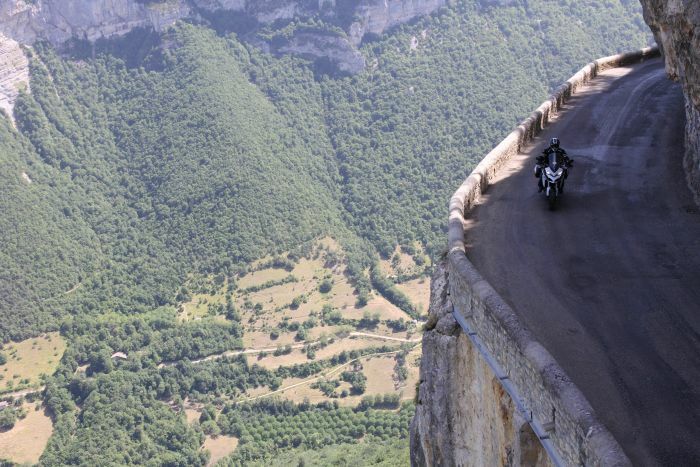 Wherever your two wheels take you in France, you can be sure that it’ll be phenomenal. Romania is an adventure biker’s playground. Why? Because it offers such a wide range of terrain. For those who like to keep to the asphalt, you’ll find glorious twisties and world-class mountain passes to keep you entertained. Those who like it a little rough, will find endless off-roading opportunities, with single tracks, gravel roads and forested trails to both challenge and broaden your skills on. So, whatever kind of rider you are, you’ll find the roads to match. Just when you thought the roads and natural scenery is impressive enough, you’ll be bowled over by how incredible, expressive and varied the architecture in Romania is. 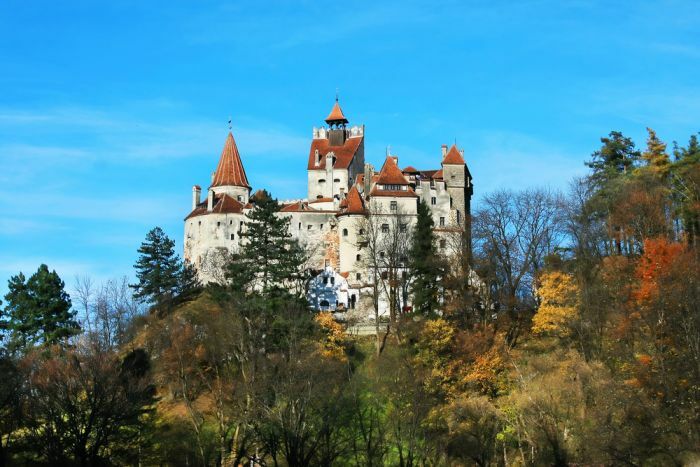 From the traditional buildings of the Old City of Brasov and the multi-coloured town of Sighisoara, to the imposing sight of Dracular (Bran) Castle that towers dramatically over the forest with its alluring vampire legends. Visiting these sights adds a touch of fascinating history to your motorcycle tour and is a great opportunity to have a well-deserved rest from the saddle. 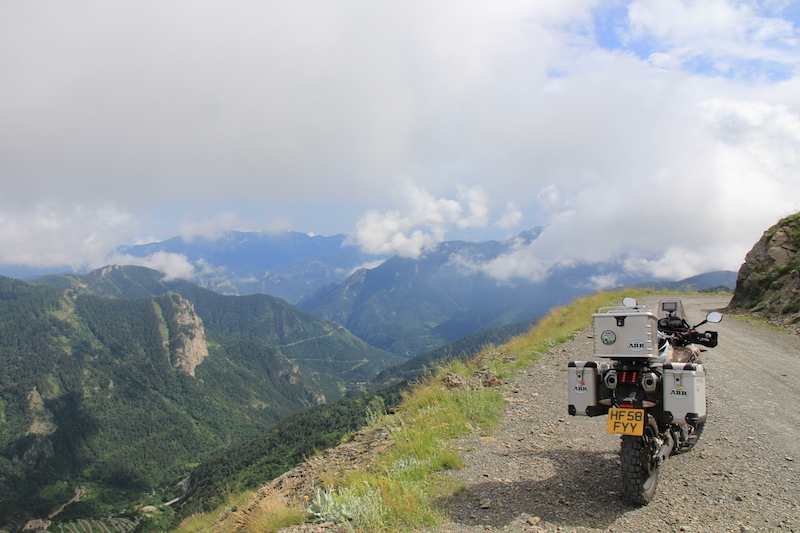 I don’t know about you, but here at ABR, mountain passes are what really adds that little extra spice to a motorcycle adventure – especially if you find yourself a good one to get your knee into. So, you’ll be pleased to know that Romania offers just that. 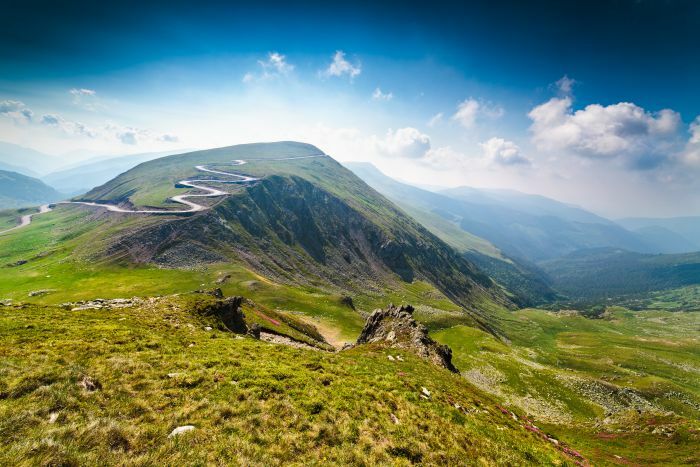 In fact, it has some of the most spectacular mountain passes in Europe, such as the famous Transfagarasan and Transalpina pass. 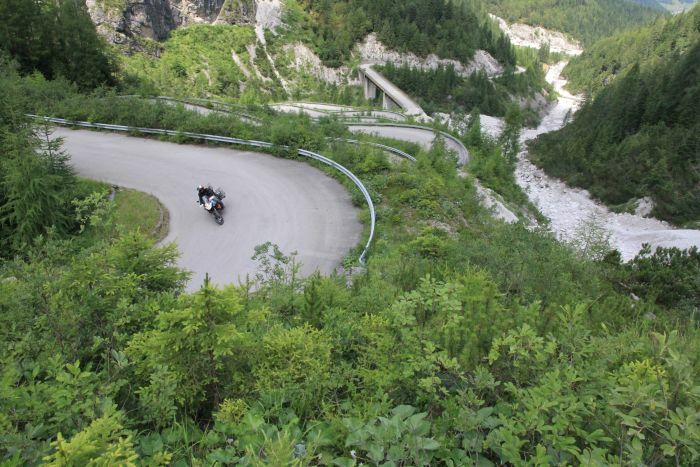 These passes are not to be missed, as they offer thrilling hairpins and crazy-good views to match. 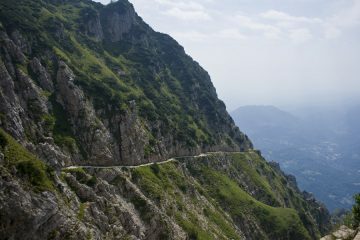 Of course, we couldn’t miss beautiful Italy off this list – it’s one of our favourite places to ride here at ABR. There’s just something bewitching about the Italian Dolomites and we can’t help but find ourselves going back, over and over again. 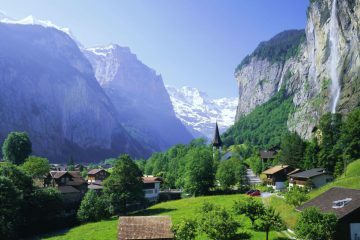 Staggering peaks soar over thrilling mountain passes and as you gain elevation the views fade from amazing to absolutely mind-boggling. 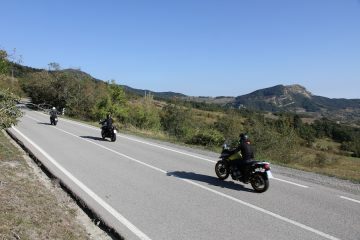 The Amalfi Coast is also another incredible place to motorcycle tour. 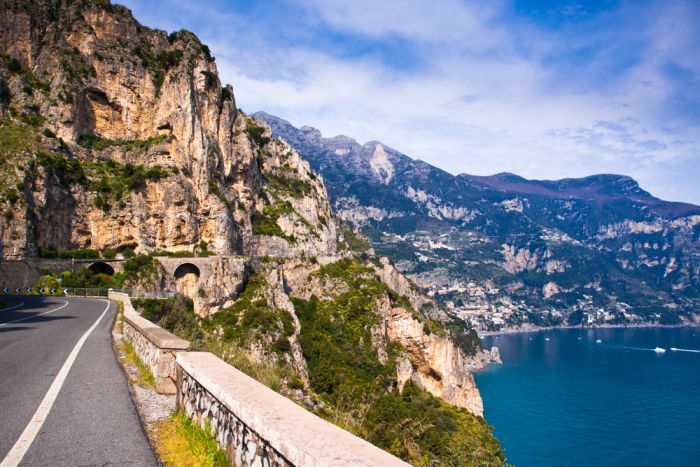 This unique part of Italy is famous for its dramatic cliffs that boast sensational ocean views, colourful seaside towns and stunning roads to ride. Castel del Monte is a fantastic sight to behold and is very well-known for its octagonal shape. 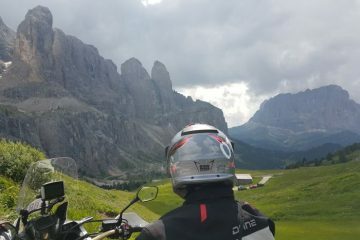 If the magnificent mountain scenery, landscape views and excellent roads weren’t enough, you’ll find that motorcycle touring in Italy is just as much about the vibrant culture, welcoming smiles and hearty Italian cuisine. Not to mention the incredible wines, beers, coffee and oh, limoncello – fantastico! 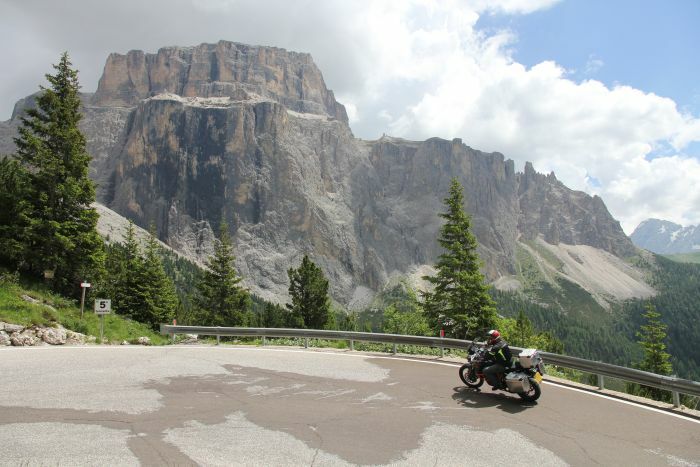 If all of the above tickles your fancy, and you’d love to explore France, Romania, Italy by two wheels, then you’ll be pleased to know that our friends at Motorcycle Booking offer trips that include all of these incredible sights and places. 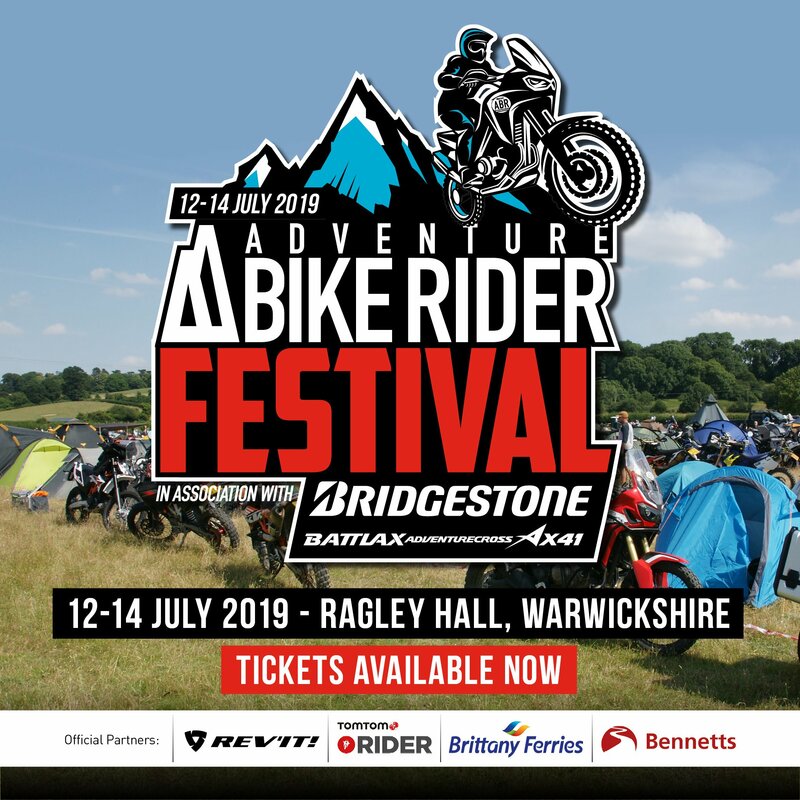 Alternatively, if you’ve ticked off all of the above or need some more inspiration, then head over to the Motorcycle Booking website to browse the company’s full range of diverse, thrilling and exciting world-wide motorbike tours.